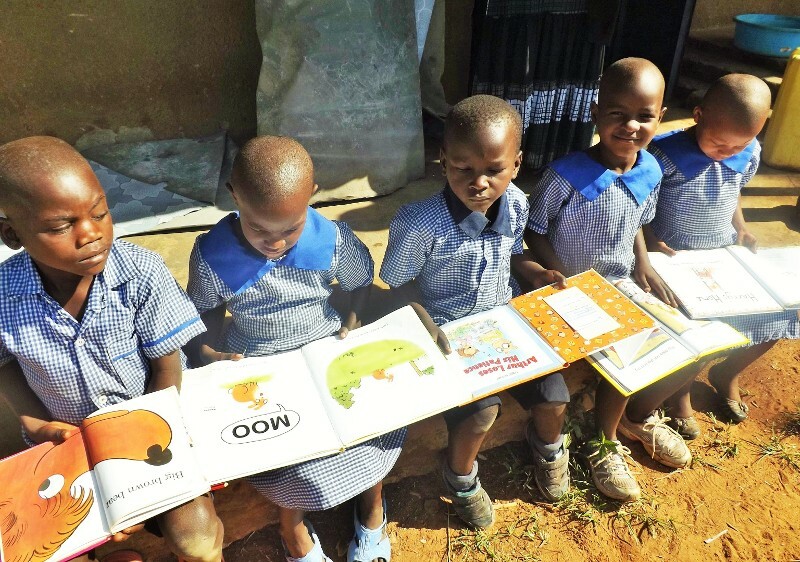 An all volunteer organization, Libraries of Love has created libraries in 36 schools in Uganda and reached an estimated 70,000 students since 2005. Thanks to the individuals, groups, book publishers, distributors, and library material suppliers who support our cause. Libraries of Love is also on Amazon Smile. If you select us as your charity, Amazon will donate a part of any qualified purchase to Libraries of Love. To learn more, go to http://smile.amazon.com/about. Click DONATE on the menu above to make a donation now. Thank you for your support. Our incredible team boarded the airplane an hour ago to return to the States. They restocked 11 libraries (which is more difficult than doing new ones), and created 3 new libraries. 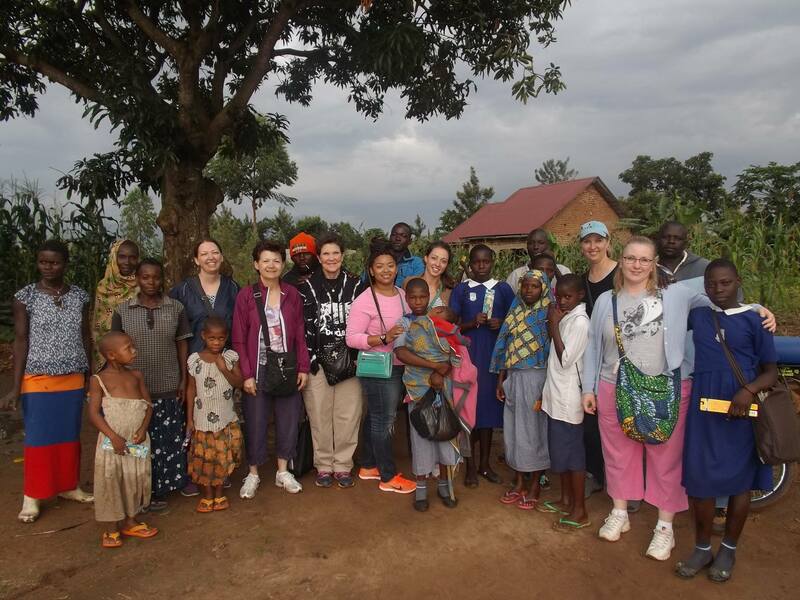 They spent time with many young people, sang and visited in classes, took boda rides through the bush, and made many new friends. I will miss them! Libraries of Love Team 2015 rode motorbikes through the countryside sharing love with kids and adults. The team handed out suckers and toothbrushes. Those in the bush will always remember the time when the mzungus arrived on 8 bodas. We appreciate Babirye Sophie. She has been a Libraries of Love librarian for 6 years. 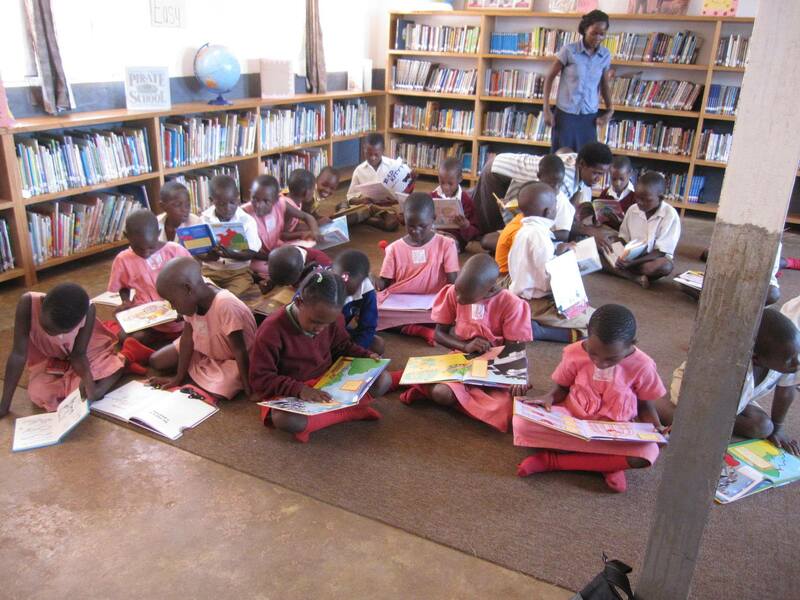 Over 800 students come to borrow books each week at Ugandan Martyrs Primary. The library has had many visitors, such as those from the Red Cross and Operation Uganda. Sophie said she especially loves the 2-day librarian meeting sponsored by Libraries of Love where she gets to interact with other librarians. She also loves reading novels. Cheers for Sophie!